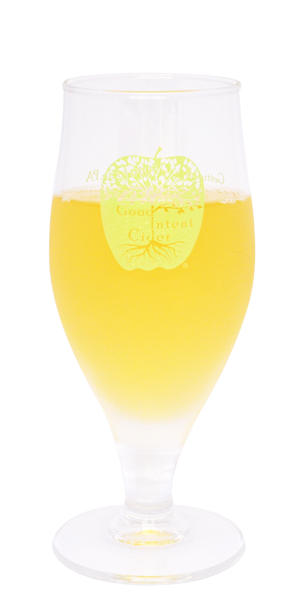 Crafted with apples grown in Happy Valley, this cider blends more than 34 varieties, resulting in rich and complex flavors not found in most ciders. These apples include lesser-known cultivars such as Ashmead's Kernal, King David, Pitmaston Pineapple, Calville Blanc, Golden Pippin, Chisel Jersey, and Tremlett's Bitter. Though they may be a motley bunch, when fermented together they become just one more delicious example of all that Happy Valley has to offer! Happy Valley Hodge Podge ’17 was released in early winter 2017. 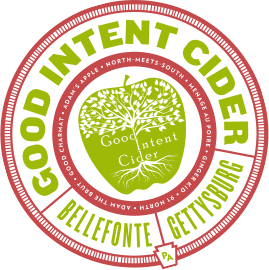 ©2019 Good Intent Cider. ALL RIGHTS RESERVED. SITE DESIGNED AND DEVELOPED BY 3TWENTY9 DESIGN, LLC.